Do you use pictures to motivate yourself? Quotes? What’s motivating you today? Two months ago I ran a half marathon, taking me from non-runner to runner wannabe. Since then, to say I’ve run minimally would be putting it nicely. I’ve meant to get back, but due to an injury I was on doctors orders to rest for three weeks afterwards, and after that, I’ve just been so gosh-darn tired. In fact, I’ve been extremely tired. Getting out of bed at all has been hard. I nap all the time, which my mom will tell you is extremely out of character; I didn’t even nap as an infant. On top of that I’ve been craving carbs like crazy, which combined with my lack of motivation to run has started my weight creeping back up. Normal social activity seems taxing, my body feels drained, and I’ve felt like my brain is wrapped in cotton for weeks. I bet all you webMD aficionados out there already know where I’m going with this. I’m not that sharp, because when I went to see my counsellor for a totally unrelated issue I was totally shocked when she told me I was suffering from S.A.D., or Seasonal Affective Disorder. I always knew I got the Winter blues whenever daylight savings came around, but it’s only ever lasted for a week or two before. I’m not going to lie, it’s hard to think of myself as being mildly seasonally depressed. I’m an up person. I’m super social, outgoing, and, like the boys in Monty Python, always look on the bright side of life. This isn’t me. Only, apparently, it is for now. So what did my lovely counsellor suggest as treatment? Running and sitting in natural light. Fabulous. Two things I absolutely love! 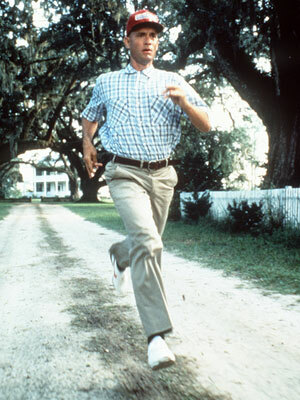 I’ve wanted to start running again, but haven’t. I’ve needed to start running again, but had no motivation. But motivation or no, I needed a change, so I laced up my Brooks and went out the front door. It felt like I was moving my arms and legs through wet cement, but I did it. Thank the Lord, I wasn’t starting from scratch. I was able to run far more than I’d been able to when I first started training, and I was thrilled my body remembered what to do. I didn’t feel instantly more optimistic, but the next day I felt more clear – more myself – than I had in weeks. So I’m going to keep going. I love running, so it’s awesome that an exercise I enjoy can help get me out of this funk. So I’m putting it out there for all the world to see, for you all to hold me to: I’m going to run away from S.A.D., rediscover my love of running and myself. #8 Complete – I Ran a Half Marathon! 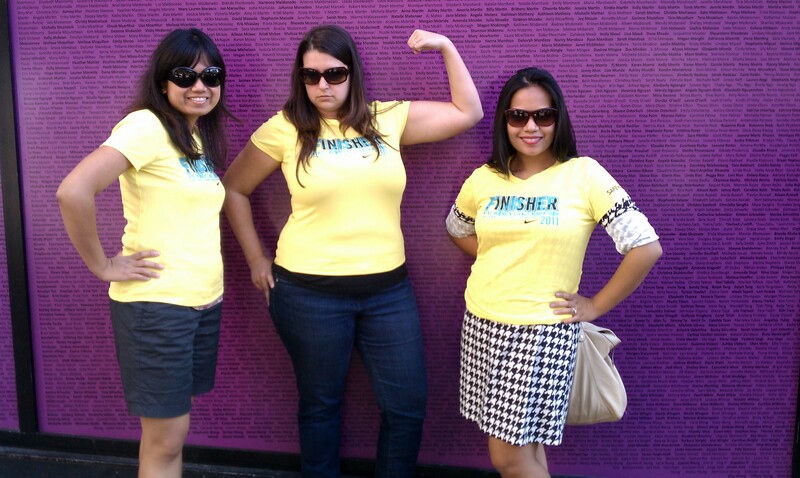 On October 16, 2011, I ran a half in the Nike Women’s Marathon in San Francisco with two of my best girlfriends. For me, this fulfills #8 on The List: to set a rediculous challengs for myself that I [was] currently not capable of, and meet it. The following is a re-post from my Team in Training blog, which won’t be around forever. So enjoy! I have to say a huge THANK YOU to everyone who donated, prayed, emailed, texted and tweeted your support. It’s because of you that I made it across that finish line (some of you literally – see below). Over all Team Fascinators raised $10,402.98 for the Leukemia & Lymphoma Society. YOU DID THAT! That’s Team Fascinators Supporters: 1, Cancer: 0. Go team!